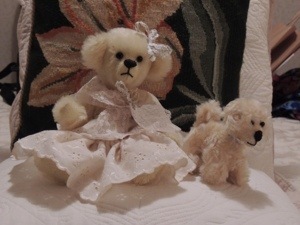 I started making bears in 1997 and made many for relatives, especially newborn relatives. 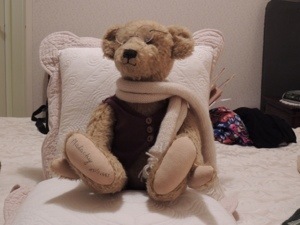 I made and sold some but found that too difficult. 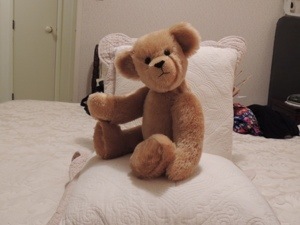 Over the past 15 – 16 years I have made many bears, some large, some very tiny. 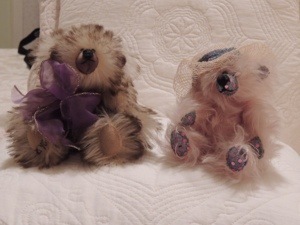 I only have photos of a few as most have been either as gifts or sold. 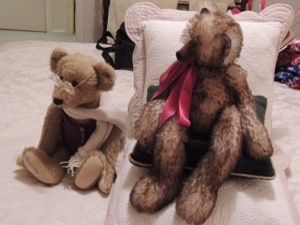 I seem to have kept too many and if we have to downsize as we age I am not sure why I will do with them. 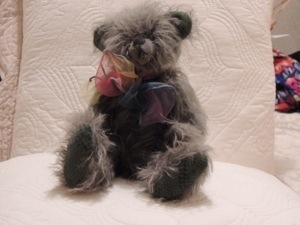 This is the first German mohair bear that I made, some have been dressed and some just have a big bow to finish them off. 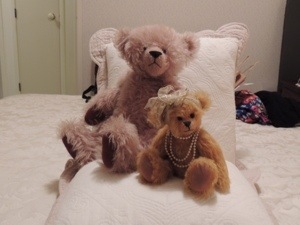 Here are some more I have made and the following is the bear I made last week for my great niece, Caitlyn.